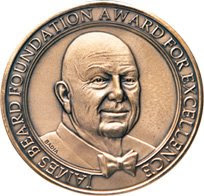 The 2008 James Beard Foundation Award nominees were recently announced and multiple members of The FCI have been recognized for excellence. Graduates, deans and The FCI itself have received nominations. Join us in wishing the best of luck to all! "An American Chef's Malaysian Love Story"
"The Seven Temples of the Food World"